Language Research is a peer-reviewed academic journal which covers research on both theoretical and practical aspects of linguistics and language education. In addition to research reports, theoretical reviews and keynote articles will be considered for publication. The journal was first published in 1965 and is published three times a year by the Language Education Institute at Seoul National University, Korea. 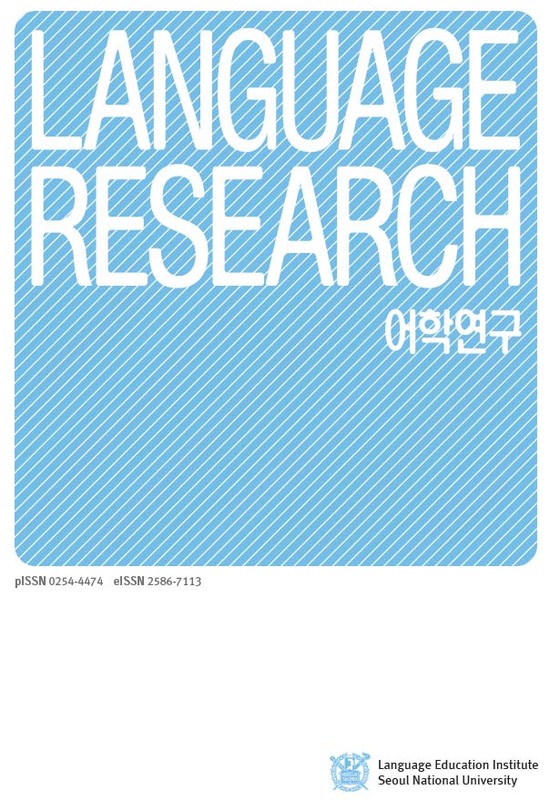 Language Research is one of the leading linguistics journals in Korea. In order to develop it as an international journal, we welcome and appreciate foreign researchers’ paper submissions. To submit a paper, click the E-Submission button on the journal website and follow the directions. The Language Education Institute at Seoul National University was established in 1963 and has been playing an important role as a center for teaching and testing English, Korean and other foreign languages. It also plays a leading role in promoting academic research on linguistics and language education by publishing its academic journal Language Research and by hosting conferences.